Every advancement that has been brought to the roof and exterior soft washing industry has gone into our company. We invented soft washing; we pioneered the technology with advancements like the Cradle Skid and the Blend Technology to make a positive movement in the roof cleaning industry. The soft washing industry has been evolving for years. 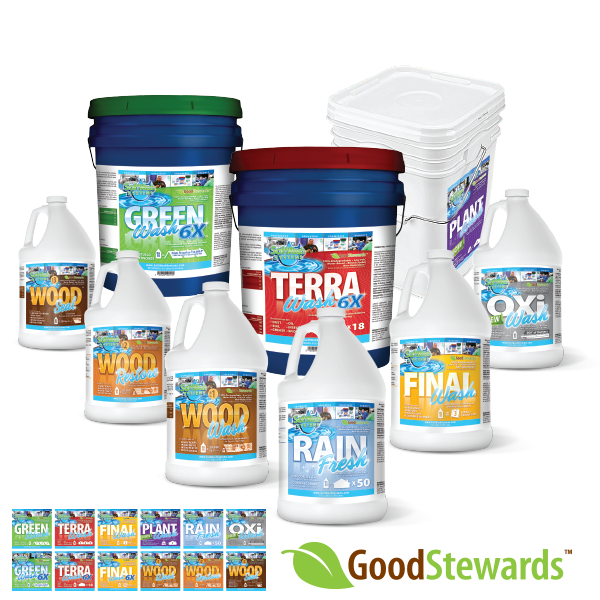 The products developed for SoftWash Systems stem from a history of companies with over 300,000 collective roofs cleaned. Our products are designed for robust, continuous use by dedicated soft washing companies that clean large areas of square footage. 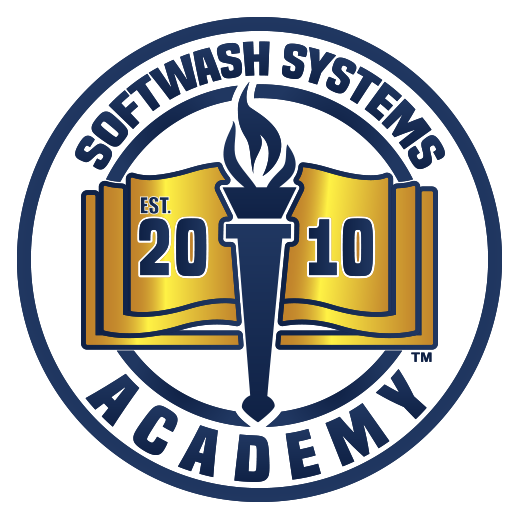 SoftWash Systems pioneered the cleaning industries most extensive education in soft washing, and safety training program. We have several hands-on training and in class events yearly as well as online classes covering every aspect of the cleaning and soft washing business. Click on the link below for training events dates and classes. SoftWash Systems leads the industry in network member support. We have in place a team of Pro Staff members that interact with our network daily, guiding them on how to tackle projects. From a Certified Applicator’s first house soft washing all the way up to a Five Star Company completing a high rise building soft washing, our network members have access to the best in phone, online, and hands-on support. SoftWash Systems has not only great online and hands-on safety training available but we also lead the industry in developing new equipment and techniques for keeping our in-network professionals safe. Soft washing itself already helps keep technicians safe by eliminating the need for pressure washing, which can be dangerous in itself. 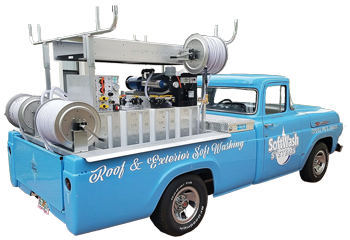 SoftWash Systems also pioneered the use of telescoping carbon poles and the specially fitted apparatus called a waterfed pole gun that allow technicians to treat your roof from the ground or a ladder. This eliminates the need for roof top access by nearly 95%. Soft washing has been in the cleaning industry for nearly 25 years. No one has cleaned more through soft washing than SoftWash Systems and our in-network professionals. Some of our clients over the years include Universal Studios, Sea World, Busch Gardens, and other large Orlando theme parks, State Governments, University Systems, Sports Stadiums, Hotel, Motel and Resort Companies, and many other high profile companies and personal estate residencies. SoftWash Systems is the first company to implement a Five-Year Spot Free Warranty NATIONWIDE. Even when you choose one of our in-network SoftWash Systems companies that has been in business but for a short time, you get a warranty backed by SoftWash Systems and our nearly 100 national network companies. Every SoftWash Systems in-network company that has reached the status of Authorized Professional or Five Star Company MUST be vetted by our third-party company verification service Ask The Seal. Ask The Seal “seals” our Authorized and Five Star businesses by verifying their insurance, licenses, and runs criminal background checks on the business owner and all of their employees. This enables SoftWash Systems another layer of assurance protecting your property and family.